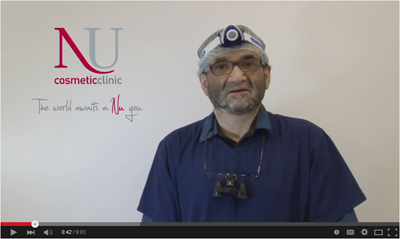 We have best non-surgical procedures e.g. PRP and Mesotherapy which can stimulate cells and help grow your hair. A complete set of consultation and treatment with affordable financing with 0% APR. Nu Hair Clinic uses state of the art, CQC registered clinics in Liverpool, London, Manchester and Newcastle to carry hair transplant and hair restoration procedure. We only use the very latest, scientifically proven techniques and equipment to ensure you get the very best results and experience from your hair loss treatment. All our surgeons are on GMC Register in UK and a member of The International Society of Hair Restoration Surgery (ISHRS). Nu Hair Clinic is part of the internationally renowned cosmetic surgery Nu Cosmetic Clinic group. The Nu group has built its name on a dedication to excellent customer service and exceptional clinical results. 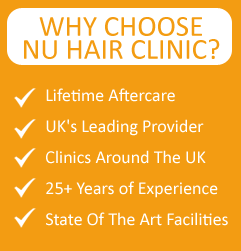 Choosing Nu Hair Clinic means choosing a team that you can trust for your planned treatment. Today, hair loss is a very common concern for most of the people around the world. It can not only affect the scalp but sometime the entire body. 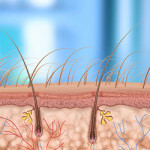 Men, women or children anyone can experience hair loss. While one of the common causes of baldness is hereditary another cause of baldness can be hormonal imbalance or others. Most people shed 50 to 100 hairs daily that don’t cause hair thinning of scalp as new hair grows at the same time. However, when this process is disrupted hair loss occurs. These days, hair treatment has become quite popular because of the increasing hair loss issues. Many women spend much of their youth plucking and shaping their eyebrows. This, along with the natural ageing process can cause eyebrows to become thinner and finer making us look older than our years. For some people, surgery may not be an appropriate or desirable option. There are only two certified medical treatments for hair loss that are certified by the FDA (Food and Drug Association in America).